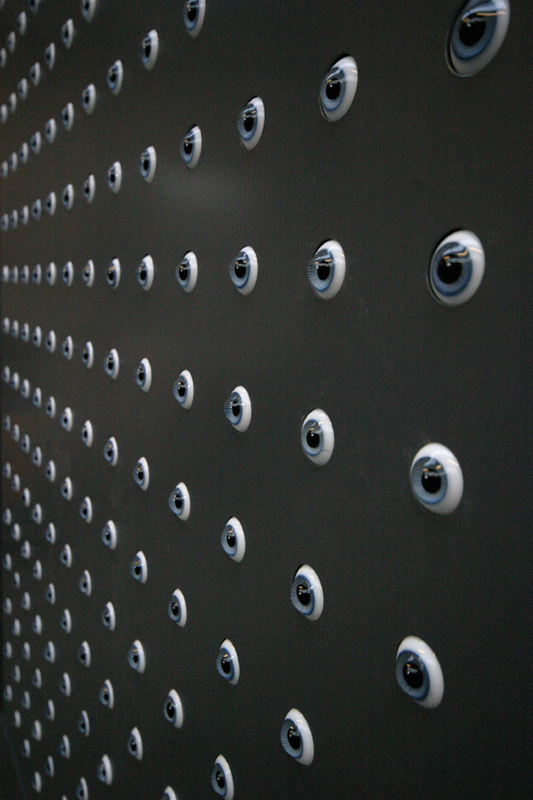 Wall of Eyes – Baynes&Co. 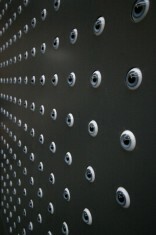 The Wall of Eyes is an interactive public artwork, comprising of 225 mannequin eyes, all moving to follow the viewer. Fabricated to be vandal resistant, the much larger final piece is intended to be permanently exhibited externally. The unit has a two axis controller, operating a counterbalanced plate via two 100w servos, triggered by 6 sensors. This is the latest in a series of public artworks which require the viewer to either actively interact, as with the Coventry Wall of Light, a 50metre long installation where you can text anything you wish on panels of glass marbles, or by triggering motion sensors as the Rochester Wall of Light. (both in collaboration with Graeme Crowley). The eye is a powerful symbol, we respond to its most subtle movements. To use the eye, even in its glass form, is to work with something hard wired to the brain. 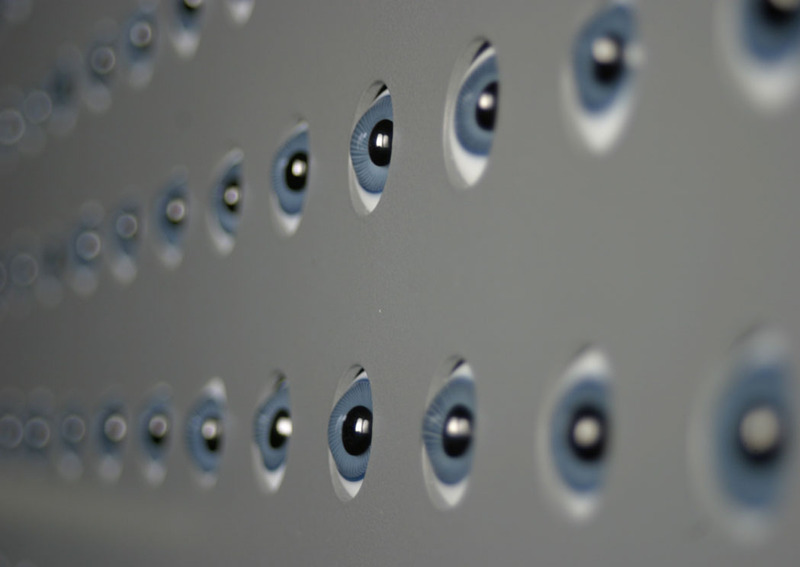 What at first looks like a decorative panel of blue & white circles becomes a device for returning your look…… it won’t blink first.